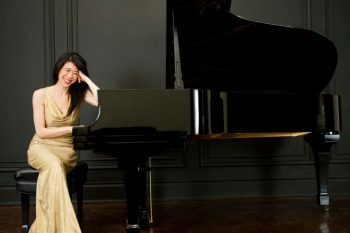 Tom Lee Music was delighted to host acclaimed pianist and Steinway Artist Jenny Lin for a recent series of workshops on the theme of Practicing and Performance Preparation. 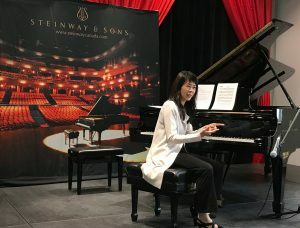 Enthusiastic audiences joined us on Thursday, May 10 at Tom Lee Music Vancouver and on Friday, May 11 at Tom Lee Music Richmond and were blown away by her humble insight and brilliance. 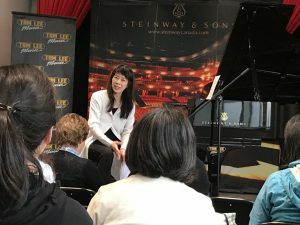 Our team had the pleasure of chatting with Jenny Lin after her latest workshop and made some interesting discoveries about her musical experiences and core values as a performer and educator. Were there any questions from the workshops which intrigued you? Is it more about community building? Which concerns resonated most with you and the other educators? One of the concerns is performance anxiety for children and how to prepare for that. And of course the parent participation in the children’s’ music education, that’s a very controversial topic but also it’s case by case. There were certain things that we were able to discuss which can help the students, or any musician for that matter, in their practicing process. I think these events are great, just to get people together. You know, when you get people together, there might be issues that they never thought about but once you’re together, they come up. And together just to help the community in general. This is the perfect place to do it. In combination with everything that is happening here, it’s a very busy week! You mentioned performance anxiety for children, what does that look like today? Do you think it should be foundational? Does that have anything to do with repertoire? Perhaps a child is more interested in pop music than traditional repertoire? Do you strive for that in your own musical interactions and within the community? Is accessibility one of your core values then? And you’re taking June off, for some quiet time? It’s more about regrouping thoughts and preparing for the next season. You need to have breaks because you’re preparing different repertoire. Also, I need to clean my apartment! Love her story? Check out this beautiful book and album trailer for Melody’s Mostly Musical Day written by Ben Finane and illustrated by Mikela Prevost with the accompanying album by Jenny Lin.